With another weekend over, series 18 returns for a third week with a narrow gauge episode: Duncan and the Grumpy Passenger! We all knew it would come sooner or later. As you can already gather by the title, Duncan returns to the narrow gauge railway after a 6 year absence and, by extension, joins Oliver and Toad on the list of returnees for this series. But will his return be like old times or just a huge let down? 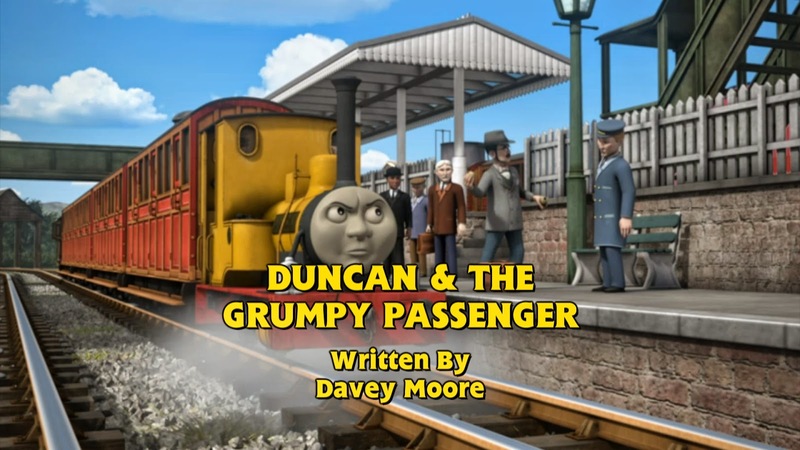 It seems Davey Moore has been put in charge of the narrow gauge episodes. That or it's sheer coincidence that he's written every episode they star in. I really wouldn't mind if it was the former, because he seems to understand them brilliantly well. 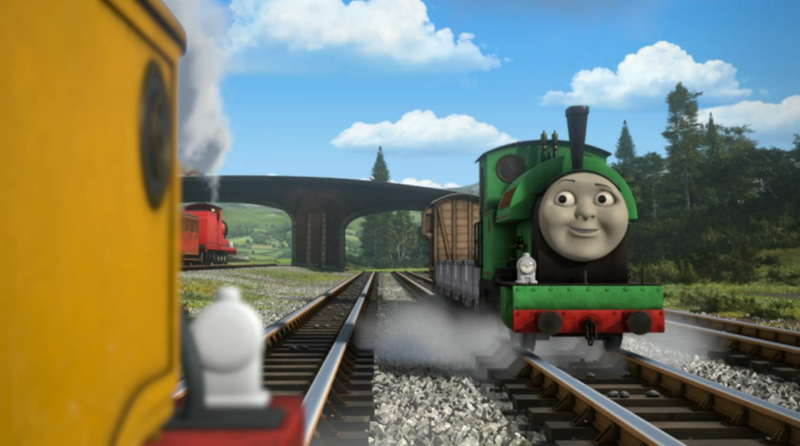 In fact, I'd say this was Duncan's best performance since series 4! The story seems like another slice of life fare, which I really don't mind at all. 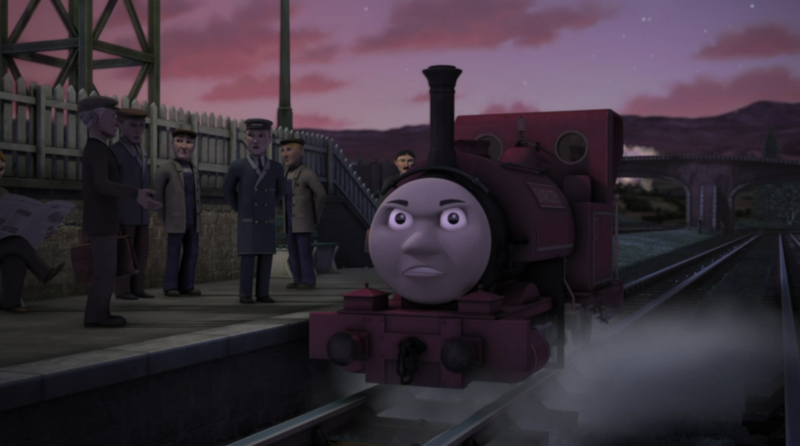 Duncan and the passenger play their roles brilliantly, and I actually hope the passenger appears again to cause more trouble for another engine. Maybe Sir Handel? I'd love his personality to revert to its series 4 state. The thing I like the most about the story though is that it takes place on the Skarloey Railway, not the Blue Mountain Quarry. 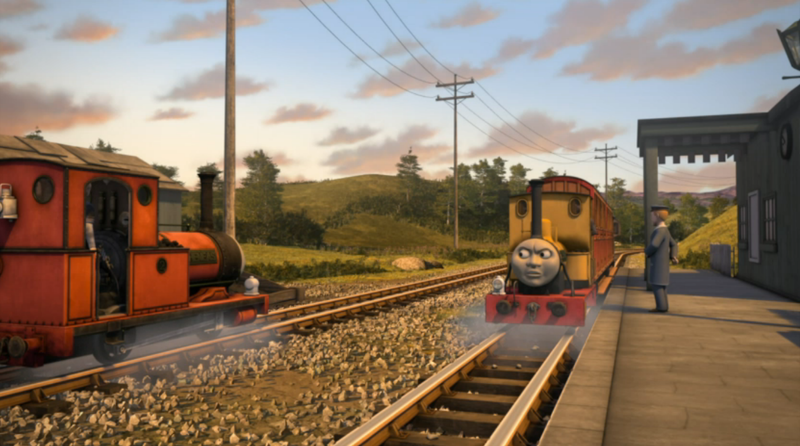 Don't get me wrong, the BMQ is fantastic, but that's only part of the whole narrow gauge network, and I'm glad the writers are remembering that. 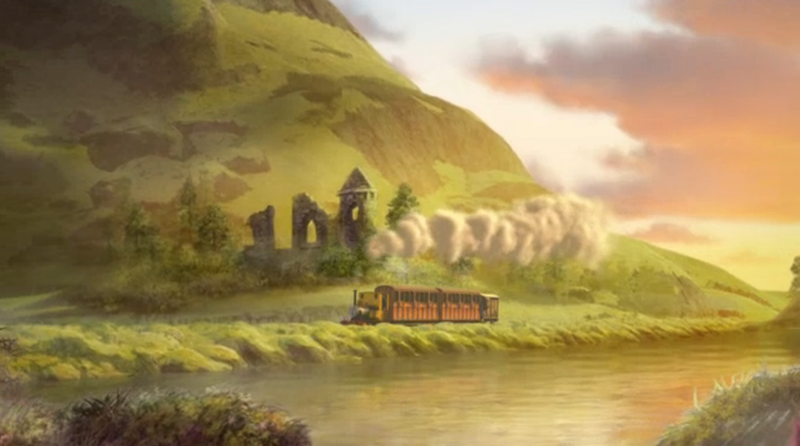 Speaking of which, I'm so glad that the animators managed to create a set of Crovan's Gate. 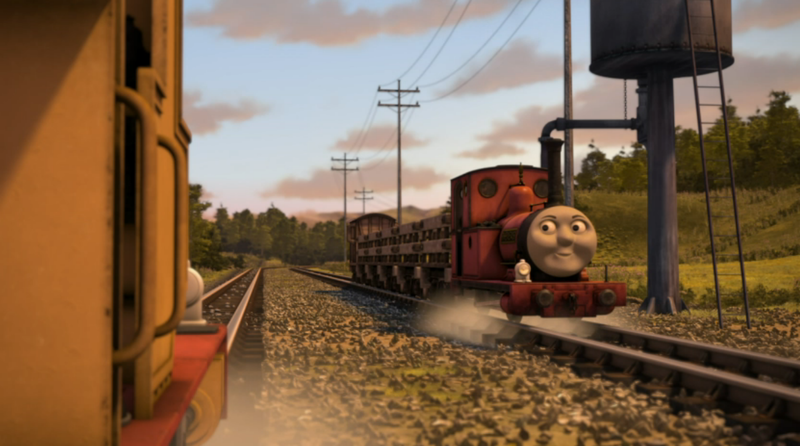 After 19 years, the standard gauge and narrow gauge lines are connected in the way the Awdrys envisioned. Well, almost. It's not exactly the same as the Railway Series version, but considering the best things of series 4 were the narrow gauge sets, I'm happy. Duncan's persona was brilliant. It was great to hear him complaining again and, like I say, it culminates with his best performance since series 4 and a great moral: you can't please everyone all of the time. 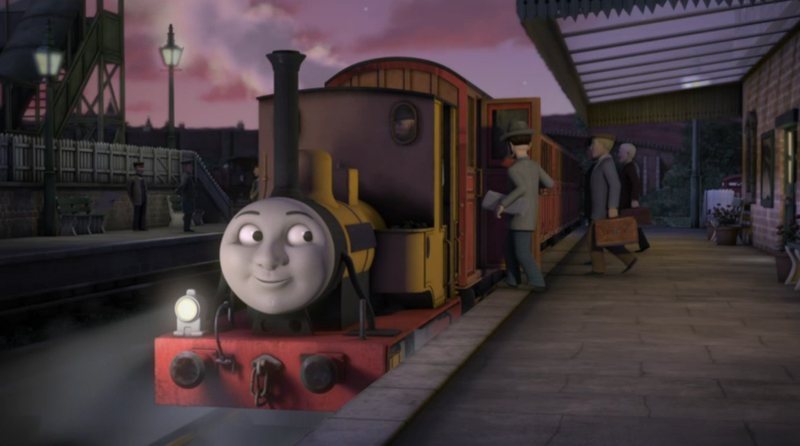 I also feel the Skarloey Railway feels more complete with his return. I'd like to see Duke again, but I'm not holding out much hope. 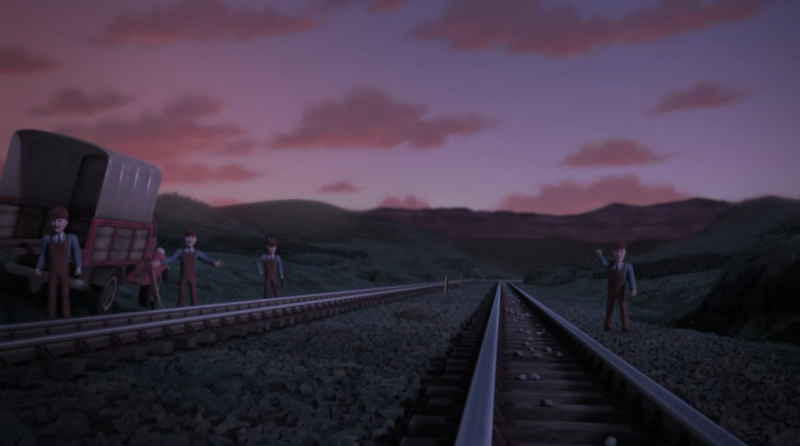 Then again, there is a slim chance, considering Crovan's Gate returned here..! I also liked how the works on the tracks were being carried out at night. It just feels like a more natural time to get it done, since it's a quieter period for the railway. The comedy was fantastic here as well. 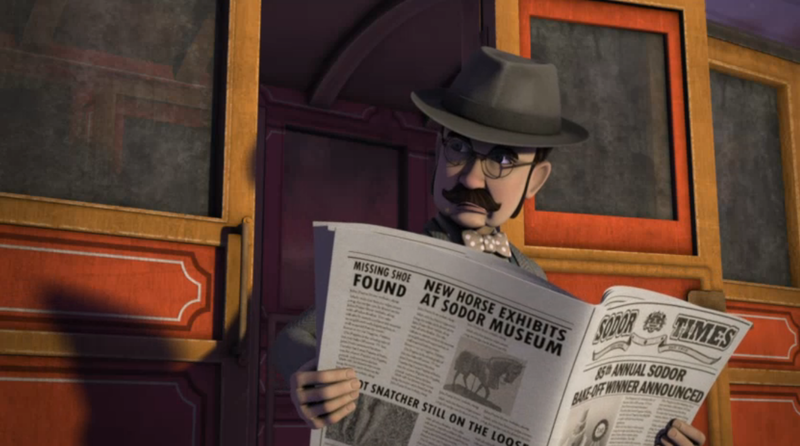 Part of it came from the grumpy passenger, while part of it came from the Sodor newspaper. It feels like a slow news day every time it's featured! The animation was stunning here, and the shot above is the best I've seen so far. New director, Don Spencer, helped to create a work of art here. The composition is astounding, and it feels like a painting or a real life photograph than an animated scene for a children's television show. 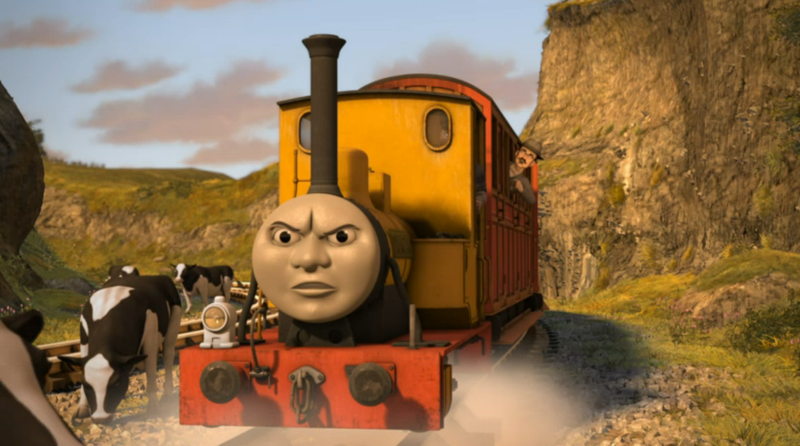 The only thing I can really comment on is Duncan's render. I love it, but I feel more detail could have been given to him. 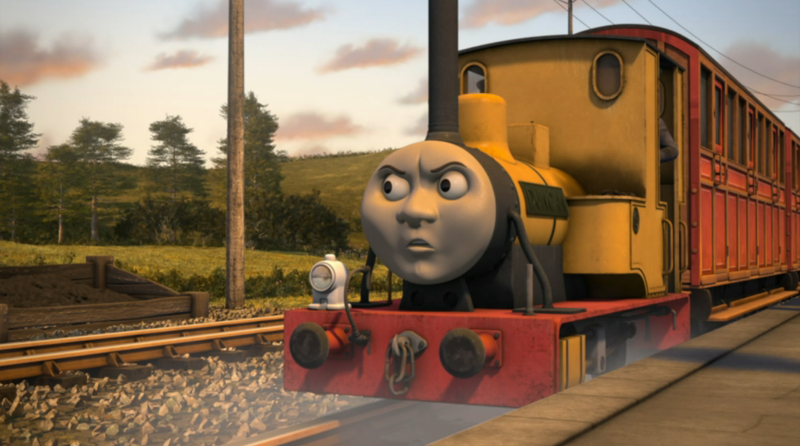 Compared to the other engines, he looks extremely... plain. 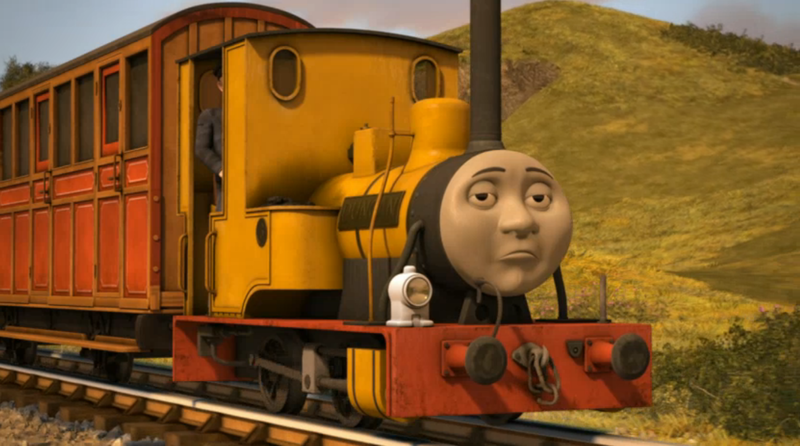 When Nitrogen were building the other five narrow gauge engines (and the rolling stock), they took a trip to the UK for research, but they couldn't render Duncan as Douglas was being overhauled. Since then though, Douglas has been restored and has returned to regular service. I know it seems like extraneous effort for one locomotive, but considering Bill, Ben, Millie and Timothy, it would have felt like it was worth it. But I can't complain too much, as he does look fantastic regardless. There are also a couple of nitpicks. The first of which being James pulling narrow gauge coaches. Since this is Don Spencer's first time in the director's chair, I'll let him off. But here's hoping it doesn't become a running goof. That said, I liked that James, Henry and Emily were passing through rather than Thomas (who was absent throughout!). It actually feels like the main line again, if you know what I mean. Another goof was Skarloey's missing lamp. Why doesn't he have one? I'd have thought it would be unsafe to run at night without one. That said, the voices were brilliant, especially Tom Stourton as Duncan. His Scottish accent was fantastic, while the other narrow gauge engines' voices seem to have improved immensely. Also, that grumpy passenger's mutterings were hilarious. The music was top notch too. I personally couldn't hear the remix of Duncan's theme, but it was still great, so I'm not complaining! #ThomasSeries18 The opening scenes were amazing. I'm loving ARC's animation. And the return of Crovan's gate! The narrow gauge crew feels complete, the Skarloey Railway itself is taking shape brilliantly and, while the story is about on par with the previous one, it just felt more entertaining in my opinion. 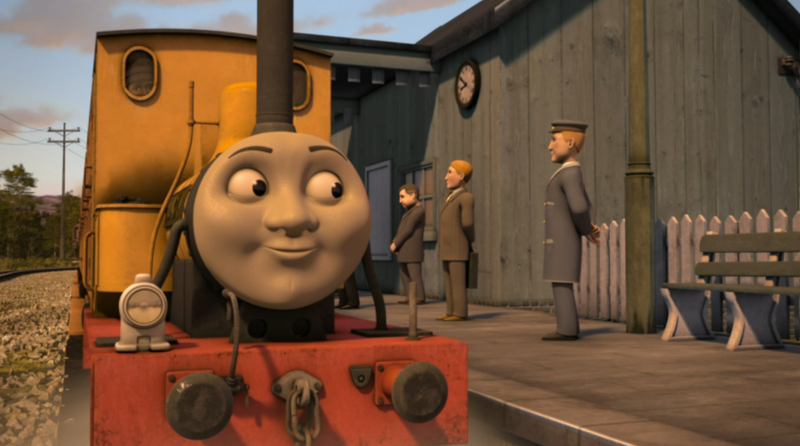 Overall, I thought it was a great episode, and a fantastic way to bring Duncan back into the fold. I really can't wait to see "Moore" from Davey! I love of how they brought back Duncan as well as the old season 4 settings as well as doing a new version of Duncan's theme from that season.